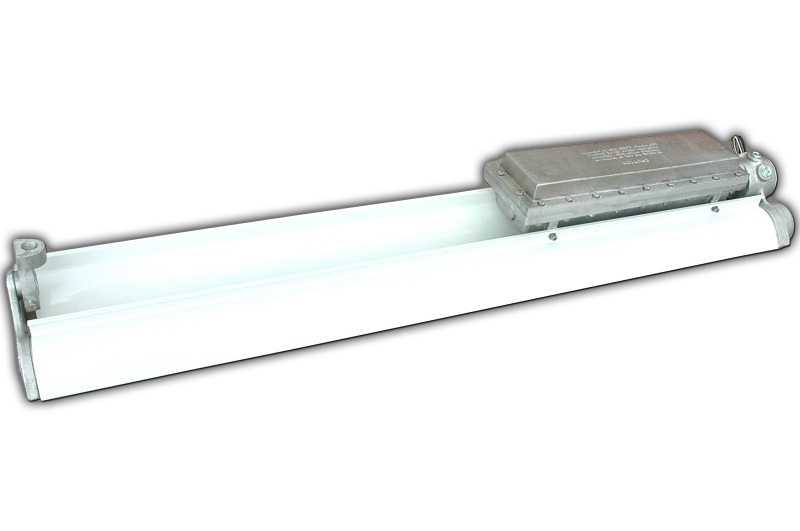 The Larson Electronics EPL-48-2L-220V Explosion Proof Fluorescent Light Fixture is U.S./Canada UL Listed Class 1 Division 1 and Class 1 Division 2 for hazardous locations where flammable chemical/petrochemical vapors exist or have the potential to exist. 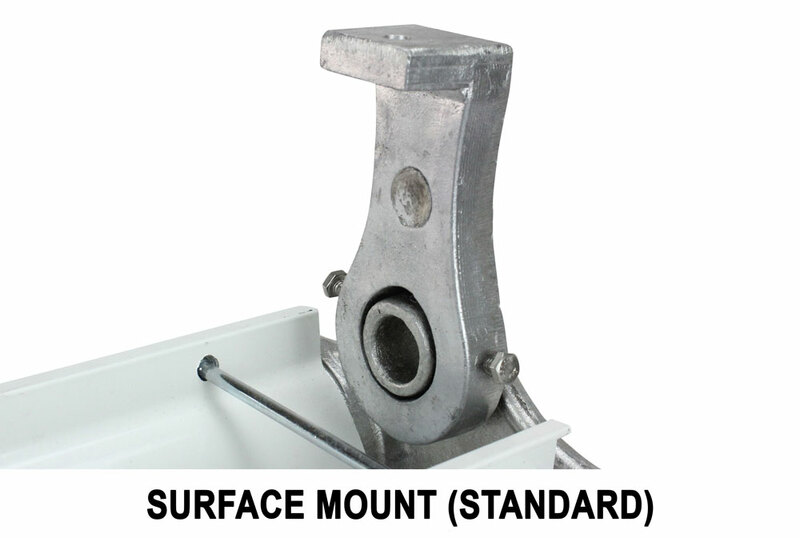 The unit carries a T6 temperature rating, it is also approved for Paint Spray Booths. 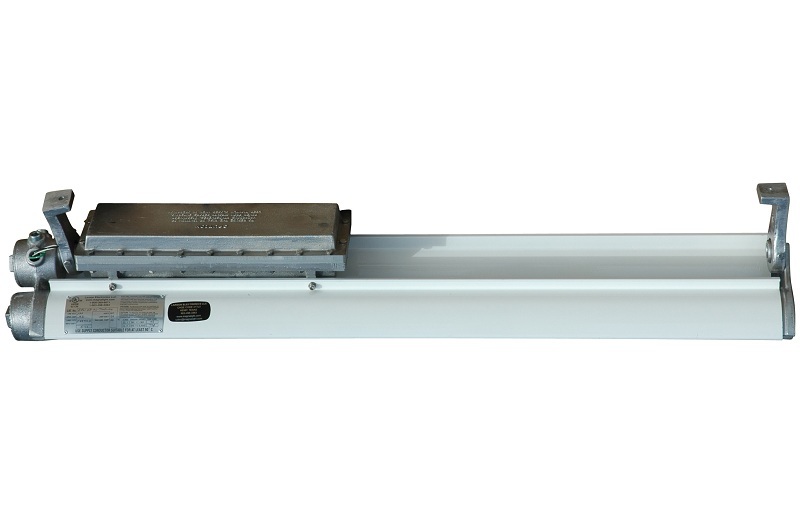 The EPL-48-2L-220V fixture is a 4 foot long, 2 lamp, UL listed Class 1 Division 1 and Class 2 Division 1&2 explosion proof fluorescent light which is also approved for use in paint spray booth applications. This T6 temperature rated fixture comes standard with two fluorescent lamps. Lamp choices include T5HO, T12HO, and T8. The lamps are protected by heat and impact resistant Pyrex tubes and the fixture is constructed of copper free aluminum alloy. The lamp reflectors are corrosion resistant heavy gauge aluminum and coated with a high gloss reflective finish.This fixture is multi-voltage capable and is available with a variety of lamp options. 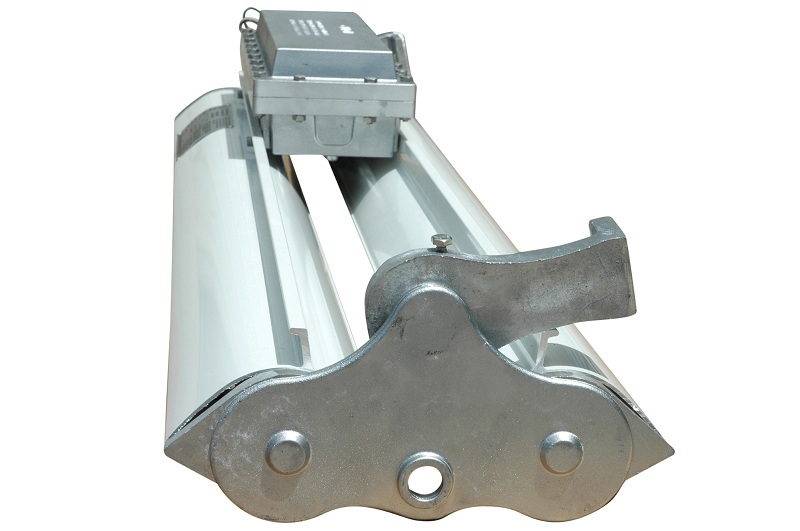 The EPL-48-2L-220V provides operators in hazardous locations with a reliable and affordable lighting solution that provides the best explosion proof protection available without sacrificing light quality or fixture durability. We offer a choice of bulbs with all of our explosion proof fluorescent fixtures. However, we standardize on the T-5HO bulbs mostly for longevity and high output. However, many of our customers, including Naval bases, shipyards, oil rigs and petrochemical processing plants operate in very cold conditions, and T-12HO bulbs operate well in those environments. Larson Electronics offers a T12VHO lamp option, 110 watt Very High Output lamps make this fixture an ideal replacement for 400 watt metal halide surface mount fixtures in hazardous location areas requiring Class 1 Division 1 rated lights. 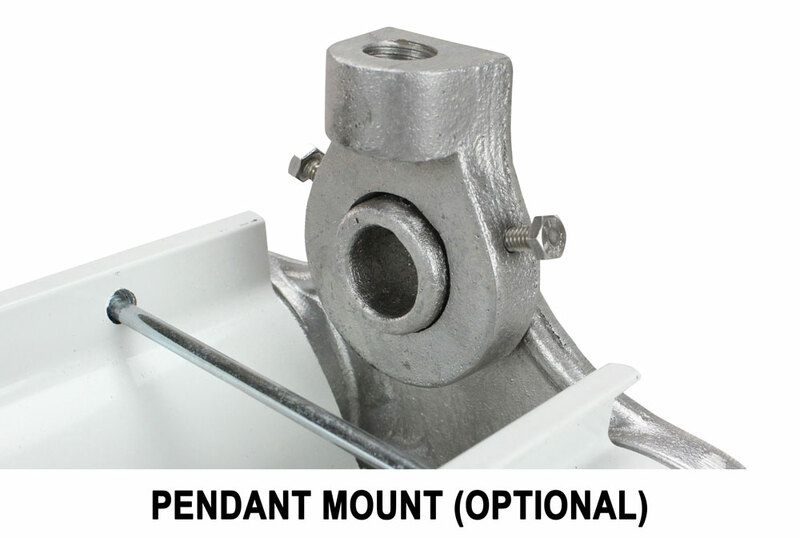 *However, the 110 watt T12VHO lamp configuration is not appropriate for paint spray booth applications. Please click here for the EPL-48-2L-T12VHO model. 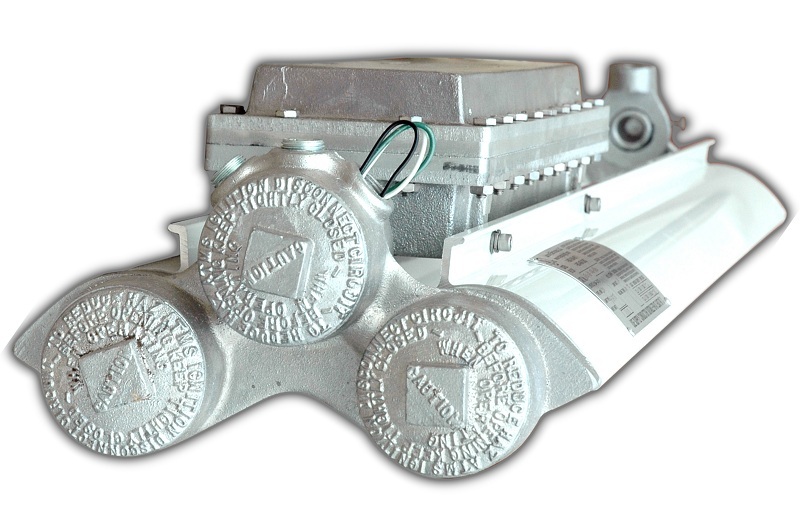 T12HO with magnetic ballast for high heat configurations ("hot box" explosion proof light applications) - 60 watt, 4050 lumens per bulbs - This bulb, ballast and wiring configuration is designed for applications to 165 degrees C.